So you’re an expat. Glorious sunshine everyday, glamourous parties at the ambassador’s and new friends from all over the world. At least that’s how it seems to your friends and family ‘back home.’ But they don’t have a clue, do they? Yes, your expat life sure is one rollercoaster, but not one that everyone understands. People start blogs for all sorts of reasons. For me, it was a combination of wanting to stay in touch with friends and family, connect with new people from other walks of life and put my brain to some use when I couldn’t commit to a 9-5 job. I started my blog, TheExpater.com, last year for fellow expat women across the globe. What started out as a little distraction while my kids were at nursery is now turning into a full time job. Ask yourself why you’re starting a blog in the first place. Is it to keep in touch with family? As a personal creative outlet? To get some skills on your CV for a future job? Or to make a living on your own terms? While it’s fine to change direction later on, it’s important to identify what you want to get out of your blog from the outset. You may prefer a highly personal, password protected diary for close friends only. Or maybe this is your new business venture. Being clear from the outset will help shape your blog’s direction. 2. Who’s your blog for? Who’s your target reader? Yes, blogging can be a very personal and cathartic experience, but if you’re publishing it then most likely it’s for others, not you. Identify your target reader and keep their interests at heart. People are coming to your blog for a specific reason, so keep it focused on your reader in terms of content and style. There are a zillion blogs out there, but I’d argue that there’s always space for more. At least the good ones anyway. Generally, the more niche your blog subject is, the more reason for readers to come to you. For example, if I’m a coeliac looking for restaurant recommendations in New York, I’m more likely to stumble upon and keep following a blog on gluten free travel than a generic site with restaurant reviews from around the globe. Check out other blogs, look for any gaps in the market where you can establish yourself. Try to offer something new or different. You don’t need to be an incredible writer, expert photographer or media savvy social networker to start a great blog. But you do need to show a real passion for your field. Readers will come to your site precisely because of who you are and your expertise. Don’t try to be someone you’re not. Be true to yourself. Readers will appreciate your honesty and it’s precisely because they share your viewpoint that they’re coming to your blog in the first place. Of course people want to be inspired, humoured, uplifted and while there’s no harm in touching up the light in a photo for example, in my view the best blogs are the most honest, real and personal. Whether your blog is a technical ‘how to’ guide or a very personal life story, you need to be cautious about what to publish online. Identity theft is big business. According to recent research those in the US with active social media presence have a 30 percent higher risk of becoming fraud victims due to increased exposure. Never, ever, post details which could give away your home location – your street sign, address, and other personal details should be off limits. 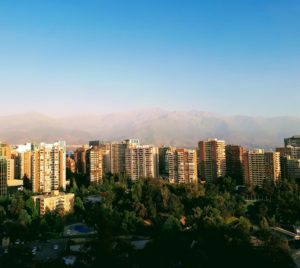 Keep your location vague — I live in Santiago de Chile, for example. Another golden rule is delayed gratification — waiting until you’ve left a location before posting about it. Blogging about an upcoming holiday to your hometown is fine, but if you back that up with real time social media posts pinpointing your location, then beware of others piecing together information that your home is empty. I debated for a while about posting photos of my children, but as a good deal of my site is dedicated to parenting, I’d feel like a fraud for leaving them out. Having said that, as I’m the one making the decisions on my children’s behalf, I’m careful. My kids are always appropriately dressed, for example. A good rule of thumb is not to post photos you wouldn’t be comfortable posting of yourself. So cute photos at the beach might be OK, but bath time shots might not. It’s up to you as a parent to err on the side of caution. Finally, bear in mind your host country’s local customs. Bikini clad shots of you sipping cocktails might go down well in your hometown, but could be less welcome in other parts of the world. Ask others before you take their photo and be sensitive around religious or historical artefacts. OK, so you’ve got your head around the main issues and you’re ready to get blogging. But hold up, first of all, pay a little attention to the visual layout. There are lots of different sites offering free blog hosting, with a variety of different layouts. The most renowned are WordPress and Blogger. If your blog is focused on visually aesthetic topics, such as adventure trekking in the jungle, your readers are no doubt going to appreciate really great images in a larger format, with lots of wide angle shots on the homepage. For more practical, information led sites, it might be more useful to include more text. However, don’t panic too much at the start, just choose a layout and get blogging — you can always change the layout theme later. As for the posts themselves, I try to make my blog as easy on the eye for my readers as possible. This means a slightly different layout than for print media. Break up long texts with images, put subtitles in bold and keep paragraphs short. While social media can have its pitfalls, it’s also an exciting and unique way to engage with readers. Try out different social media sites, focusing on one at a time to see which works best for you. Don’t get distracted and attempt to post on several sites all at once. Instead, concentrate on one account and take it from there, posting and interacting regularly on the subjects which are important to you. Instagram may work well if your blog is about travel to exotic locations. Meanwhile Facebook can be great for reaching out to niche markets; for example I’m a member of a (huge) group for parents in Latin America with kids suffering from dairy allergies. Check out your favourite bloggers and learn how they interact with their followers, for example through the use of specialist hashtags or direct messaging. But remember, it’s not all about the numbers. When I first started my blog, I despaired that my social media follower numbers were so small. Sure, there are lots of sneaky tricks to up your following and I was tempted. But what’s the point of thousands of irrelant followers and fake accounts just to ‘look good’? My blog is targeted at a very specific market and I focus on people who will actually read and engage with my blog. I make an effort to reply to every email sent to me through my blog. In fact the feedback, comments and questions I receive from fellow expats are what keep me blogging. But I don’t reply to spam. Even in the first week of blogging, with barely a handful of followers, I got several emails along the lines of, ‘Hey there, I love your site and follow it regularly. I work at x company where we make y and I wonder if you could include a link of our product in your post please?’ Or offers to include random, totally unrelated links into articles for a $50 USD credit. Or asking to add in a guest post on completely irrelevant topics. They’re all scams, spam or timewasters. Delete and move on. As well as the spammers, you’re likely to get a few trolls or haters contacting you. 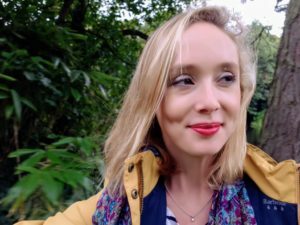 When I first started out I thought that my blog on expat life for women was fairly innocuous, but a few people still seemed to get their feathers ruffled. Even the most positive, happy or honest stories can attract the weirdest or most horrid of comments. Don’t take it personally. While you should report any real threats to the authorities, unfortunately hate mail comes with the job. I’ve been lucky enough to win over most negative comments with a little humour, but some are just not worth the effort. One day I received a 1,000 message, typed in red capitals, about how my blog would be shut down, I would be prosecuted and I would go to hell. And all this for mentioning a survey listing the best and worst places for expats to live. How human rights bloggers survive the hatred I will never know! There are numerous ways to monetise your blog, if and only if you really want to. As mentioned previously, if your blog is about gaining contacts and experience for your CV, then making money might not be a priority right now. I’d advise any newbie bloggers to concentrate on the content and layout first, and be very cautious about advertising or other programs which detract from the blog itself. Advertising – should you wish to install an advertising widget or two there are a variety of different layouts available. Be careful that the adverts don’t detract too much from the blog itself, and remember that while there are safeguards against inappropriate material, you don’t get to choose the advertising content. Affiliate links – you may decide to sign up to affiliate programs, whereby you gain a commission for every click or purchase on a site. Amazon.com is one such example offering these programs. Sponsored posts – you could also liaise with a company to write a post exclusively for them or mentioning them, for which you can charge a fee. Gifted items – while gifted items do not translate into dollars in your account, they do offer a means to try out new experiences or products for your blog. There’s no such thing as a free lunch however, so only accept ‘gifts’ which are valuable to your readership. When you’re just starting out your options to monetise may be more limited. You’ll need to reach out to potential partners and emphasise the value of your blog. Don’t be put off even if your numbers are small; it’s all about proving that your readership is aligned with a company’s target market. It’s also essential to be upfront with your readers, for both moral and legal reasons. Every country has its different rules and regulations and laws are rapidly evolving. If you’re making financial profit from your posts, it’s important to disclaim this from the outset. I started my blog just over a year ago but it’s only in the last few months that I’ve really seen a shift in my readership. Initially I focused on growing my audience, posting links to my posts left right and centre, but I wasn’t actually building a core following. Sure spikes of 2,000 users in one afternoon felt great, but when they left and didn’t return I started to wonder what was the point. It takes time to locate your key audience. It takes time and dedication to build a following. Technically speaking, it also takes time for Google and other sites to find you, so the number one rule is to be patient. Keep it consistent, keep it real and most of all, keep it fun. If you don’t enjoy your blog anymore, then why should your readers? 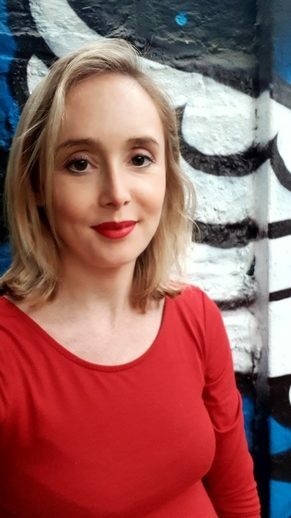 Nina Hobson founded TheExpater.com, a luxury lifestyle blog for female expats. 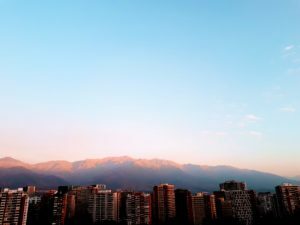 Having lived across the Middle East, Africa and Europe, Nina is now based in Chile and writes on everything expat related, including careers, travel, parenting, beauty and wellbeing. This entry was posted in Career, Lifestyle. Bookmark the permalink.